Where’d ya get those…perversions. Someone who has been named the “Hilltop Creeper” is breaking into women’s homes in the middle of the night and once inside their homes lurps over their beds while they sleep and touches them inappropriately. 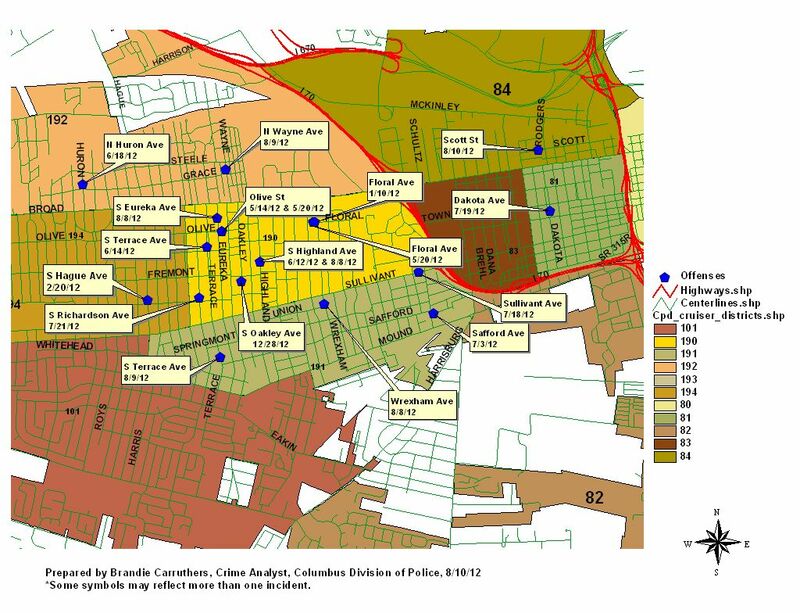 So far there have been 19 incidents all concentrated in the Hilltop area of Columbus. The posted map shows the dotted areas where the Creeper has struck. The Hilltop is on the west side of Columbus. It has been very hot in Columbus lately and many folks in that area may not have air conditioning, which would explain having open windows. This man is looking for opportunity and an open window obviously allows him entrance into the homes. It also appears as though his attacks are ramping up and becoming more frequent. With most sexual oriented attacks, the possibility of this escalating into a full sexual attack is not below the realm of possibilities. I am hoping that they are able to apprehend this man before he really harms someone. Police have only provided a vague description of the suspect. He is described as a black male, 20 to 40 years old, between 6 feet and 6 feet 5 inches tall, weighing 175 to 200 pounds. No further description was released. This description could be anyone, really. Anyone with information should call the Sexual Assault Unit Tip Line at 614-645-2438.